Mayweather hints: "I'm coming back to fight Manny Pacquiao"
 Home  boxing  Floyd Mayweather  Manny Pacquiao  Mayweather hints: "I'm coming back to fight Manny Pacquiao"
MANILA--Floyd Mayweather hinted at a possible rematch against Manny Pacquiao. Following a chance encounter at a music festival in Tokyo on Saturday night, Mayweather's team videoed him talking with Pacquiao about the showdown. The video, which was posted on the American boxer's Instagram account, did not have a clearer audio of the conversation, although he uttered the target date of the match, which once becomes a done deal will be his comeback fight. "I'm coming back in December," said Mayweather. He captioned the video: "I’m coming back to fight Manny Pacquiao this year. Another 9-figure pay day on the way." He later told Pacquiao that he expects him to show up at 100 percent, saying that he does not want to hear him talking about an injury slowing him down. 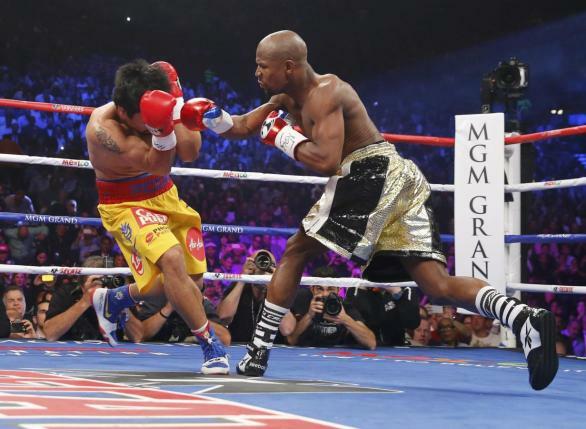 In their first meeting in 2015, Pacquiao claimed that he had an injured shoulder that kept him at bay against Mayweather, who won in the match that was tagged as the "Fight of the Century". Boxing pundits and fans alike gave mixed reactions to the said bout with most of them criticizing Mayweather for just slowing things down most of the time when everyone expected him to go all out against Pacquiao.